Who doesn't love hanging out in the barber shop? You can be there hours after your cut just shooting the breeze with the fellas. Everybody is in there to get clean and it's more than just a haircut. Now you can hear that old guy in the back yelling to a youngster "You better get some of that Carmello in your head". 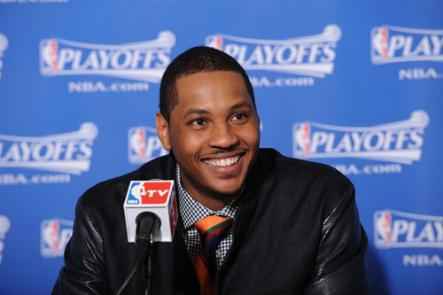 Yep Carmello is now linked to every barber shop. Johnson Products Company has brought on it's first celebrity endorsement signing Carmello Anthony to a multi year endorsement deal. During the Fall of 2010 Johnson introduced it's Ultra Sheen Men's Brand grooming line, this is where Melo's speciality will be.